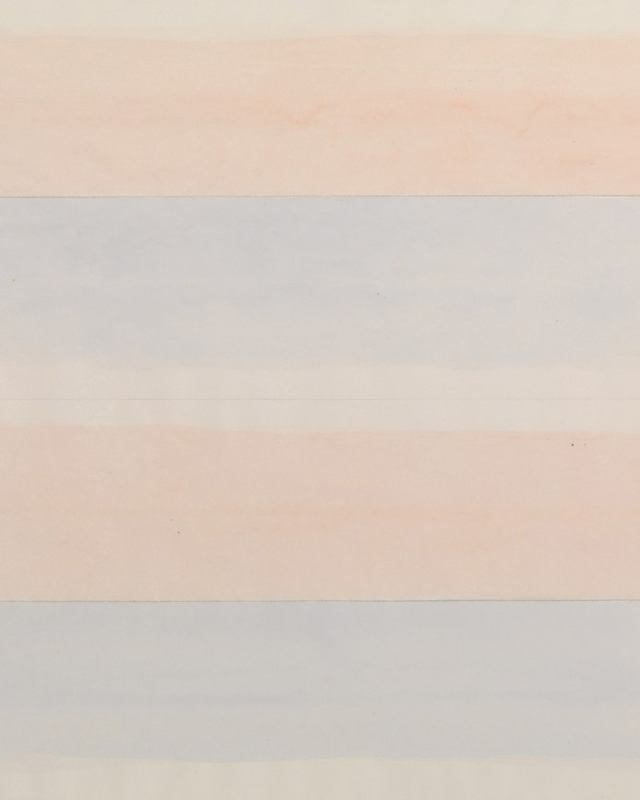 I love Agnes Martin, her words, her paintings. 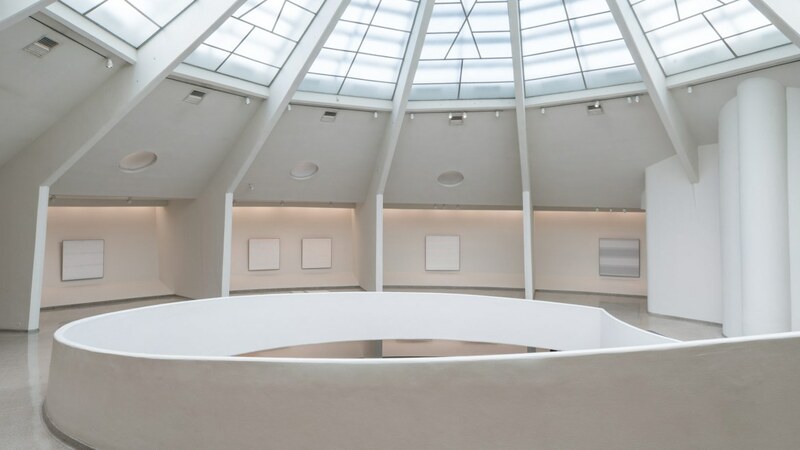 After a major exhibition in Tate Modern last year, there is a beautifully curated retrospective in Guggenheim New York running through January 11, 2017. 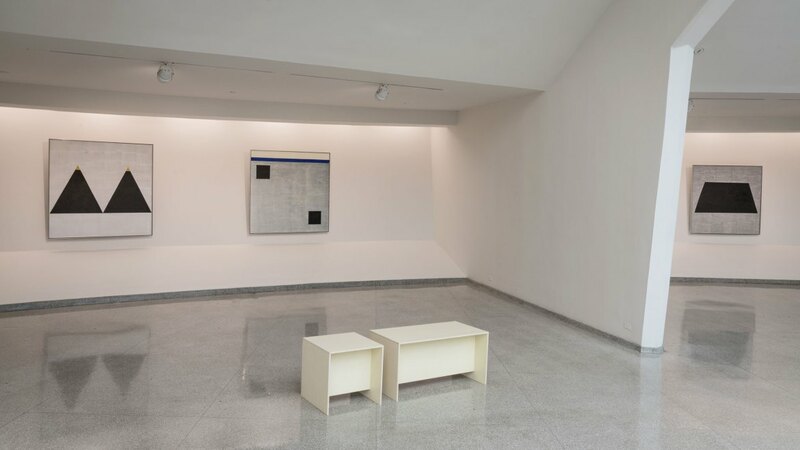 Agnes Martin lived alone for most of her adult life. Diagnosed with paranoid schizophrenia and guided by voices, she started painting relatively late but also stayed productive through her whole life, producing the last of her masterpieces only a couple of months before her death in 2004. 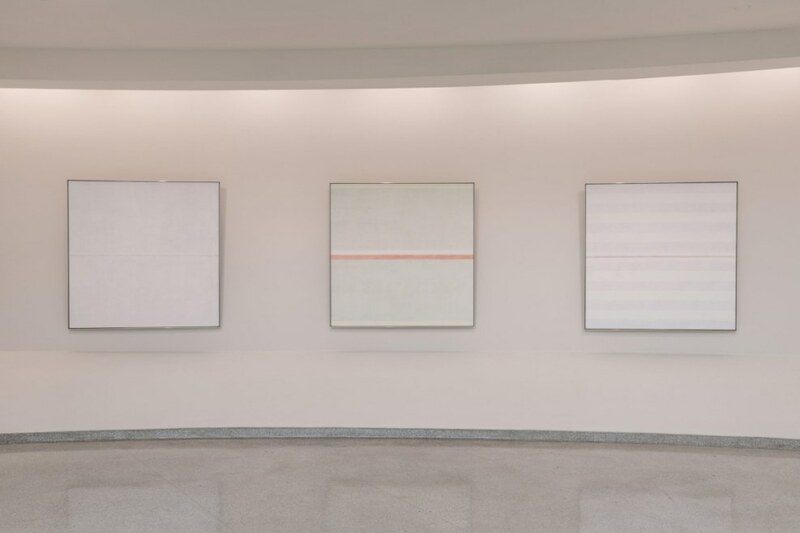 Staying true to the same motifs, subtle colors and geometric shapes she repeated endlessly, what she aimed to catch in her paintings was the ease of being: joy, beauty, happiness. Like so many highly sensitive people, Martin seem to have found peace in her work. Something clear and innocent to focus on. And that is what I most adore in her work, that sensitivity, and how much she manages to express with such a subtle visual language. I read in an article that suggested that Martin’s paintings were the end result of an extreme effort and that their perfection was hard won. And I get it, to work as hard as Martin did, starting over two or ten times if the painting was not accurately what she wanted, may seem like an extreme effort for someone who is not that particular about what they are willing to express. But for someone who lives to create beauty, could it be that it is not so much as an extreme effort but something to focus on, something to keep them busy, something to live for? What else would we really be here for than to focus on something that is simply wonderful and not the tiniest bit less. And more importantly, isn’t that what we all aim for anyway? Pure harmony, happiness, love – whatever you want to call it it is the same one thing. So simple and so well said, Agnes. Do more of what you like to do. There are not many things, if any, more rewarding than that. 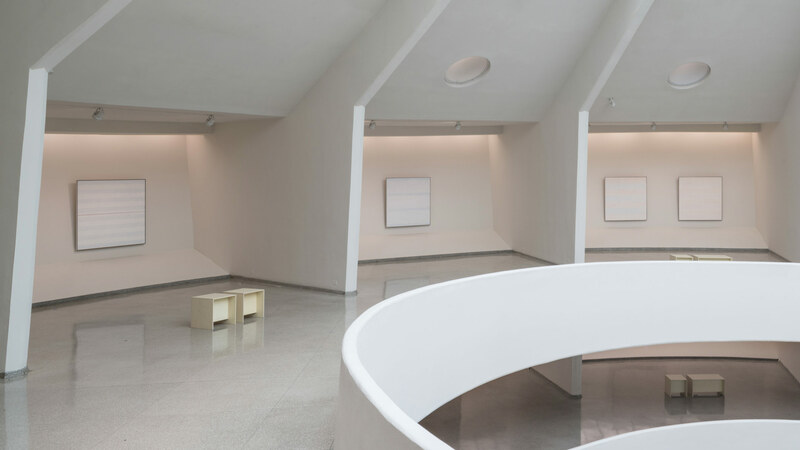 Featured five images courtesy of Guggenheim.